Donald M. Yealy, M.D., chair of emergency medicine at UPMC and professor of emergency medicine and clinical and translational sciences at the University of Pittsburgh School of Medicine has been elected to the National Academy of Medicine (NAM), considered one of the highest honors in health care and medicine. The NAM addresses critical issues in health, science, medicine and related policy, and inspires positive actions across sectors. Yealy is among 70 new members recognized for outstanding contributions to the health sciences and public health. Yealy received his bachelor of science in biology from Villanova University and his medical degree from the Medical College of Pennsylvania, now part of Drexel University. After completing a residency in emergency medicine and a clinical research fellowship at Pitt, he became a senior staff physician at the Scott and White Memorial Hospital in Texas and director of research of its Department of Emergency Medicine. He returned to Pittsburgh in 1993 as associate chief of what was then the Division of Emergency Medicine at Pitt, as well as chief of the Presbyterian University Hospital Emergency Services. Yealy has been chair of emergency medicine since 2009. 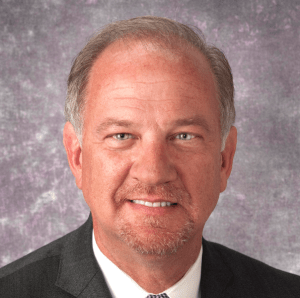 In addition to his emergency medicine roles, Yealy has system leadership responsibilities, managing health system safety efforts, the UPMC system-wide Advanced Practice Provider Office and the medical staff offices. Nationally, Yealy serves as an examiner and item writer for the American Board of Emergency Medicine, an expert panelist for the National Quality Forum in pulmonary and critical care, and deputy editor of the Annals of Emergency Medicine. He is a past president of the Society of Academic Emergency Medicine. Yealy’s work has influenced clinical care in life-threatening conditions, with his publications guiding national recommendations. The NAM, formerly the Institute of Medicine, was established in 1970 under the charter of the National Academy of Sciences to advise the nation on medical and health issues. The NAM is an independent organization of eminent professionals from diverse fields including health and medicine; the natural, social and behavioral sciences; and beyond.